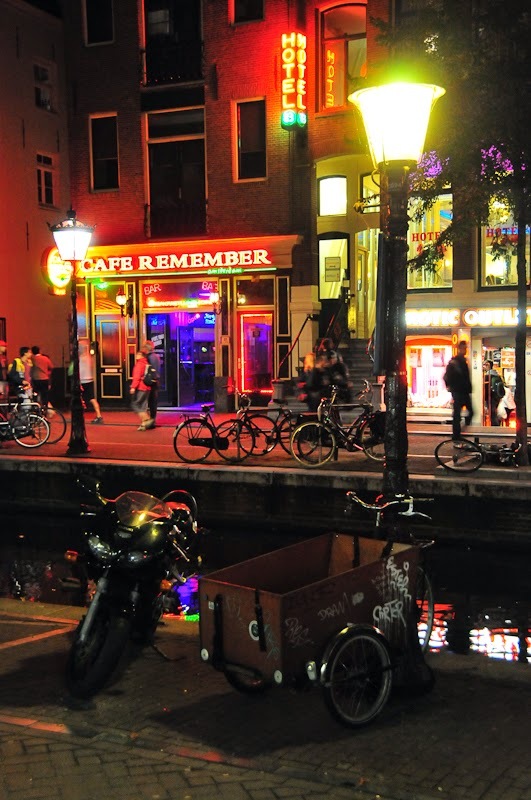 Here's the first article of a special week about Amsterdam. 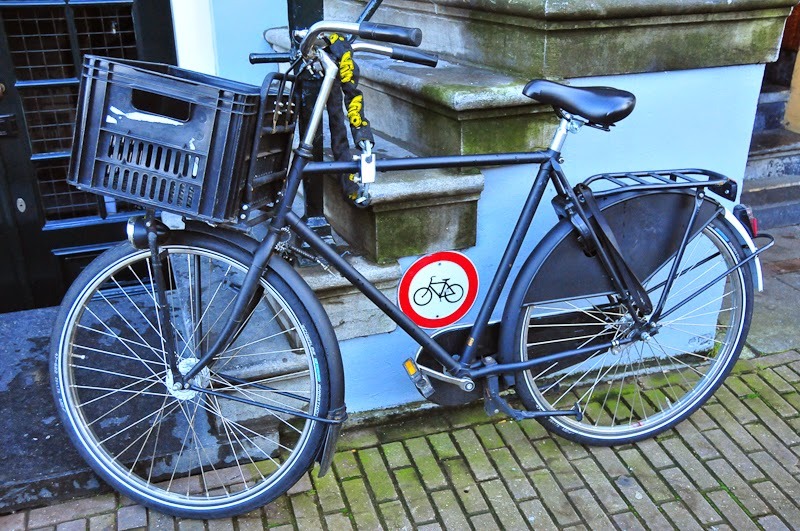 Everybody knows Amsterdam, its channels, its typical houses, the red light district, coffee shops and bikes, bikes, bikes... everywhere ! 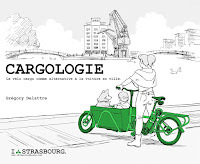 It was my third trip in this crazy city but the first time I got around biking (with a bakfiets, to be completly in the mood of the dutch bicyle culture...). 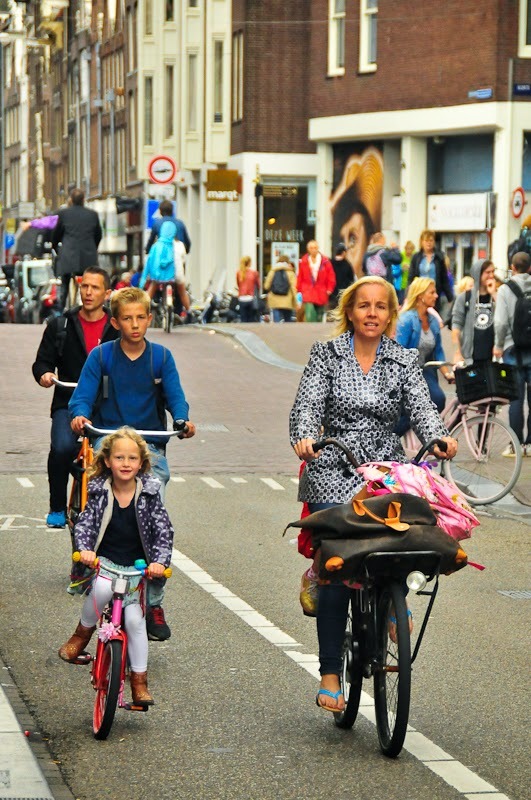 Cycling is a way of life for the Amsterdamers. Everything wasn't always fine for the locals bikers, though. As in the other industrialized countries around the world, bicycle use strongly decreased after the second world war, when mass motorization developed. 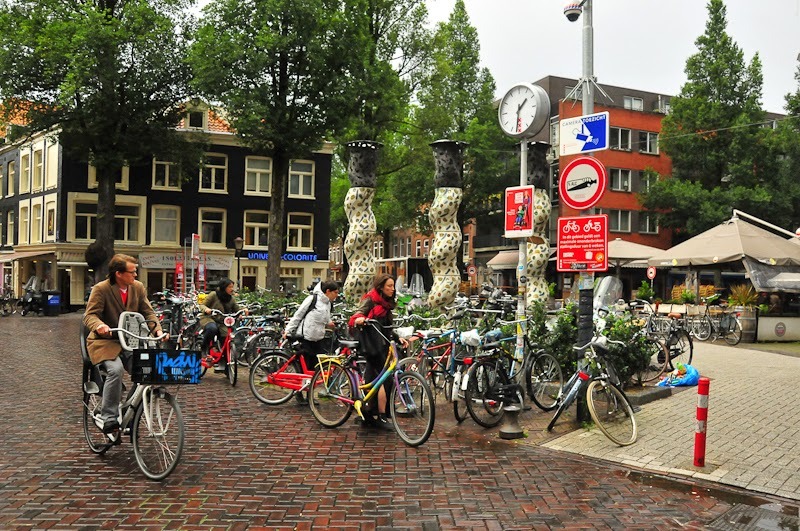 In 1965, an Amsterdam movement called Provo introduced white bicycles for free and general use in the streets, in order to combat the increasing air pollution and congestion. 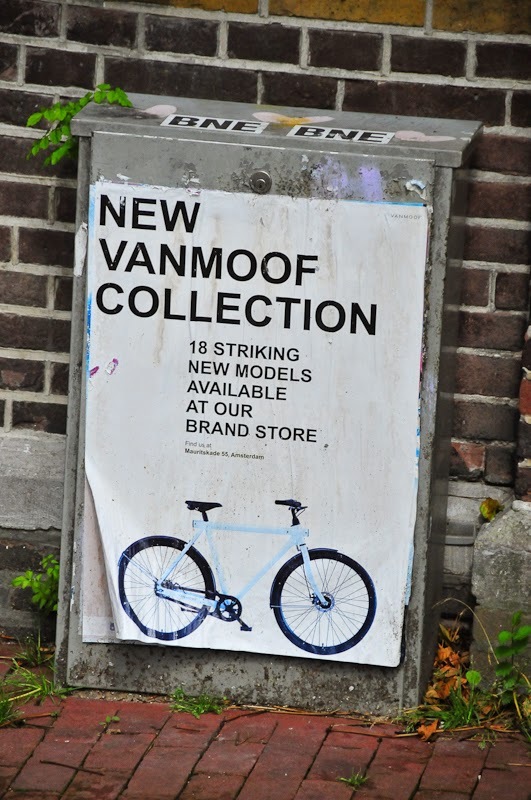 Unfortunately most of white bicycles were stolen or disappeared. In the 70's, traffic engineers stressed the urgency to address the needs of cyclists in addition to the motorists. In 1973 during the first oil crisis, petrol distribution occurs and car free Sundays, where cyclists can ride on empty motorways, were introduced. 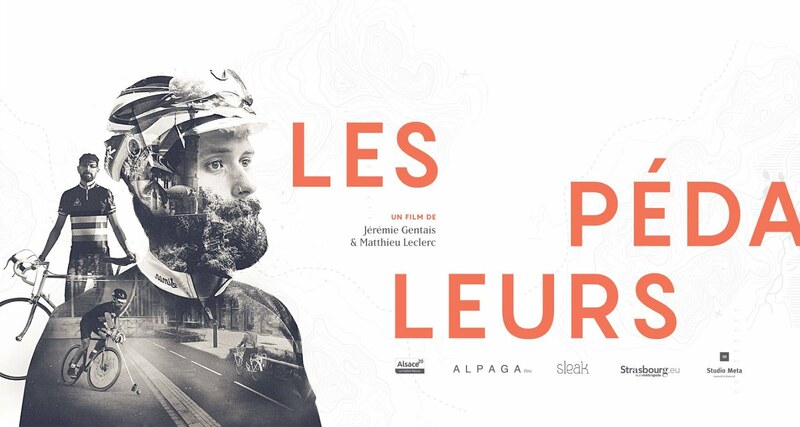 The first cyclist associations were founded in 1975. In 1977, Dutch ministry of transport earmarked 30 millions guilders* (15 millions Euros) for the construction of bicycle infrastructure. 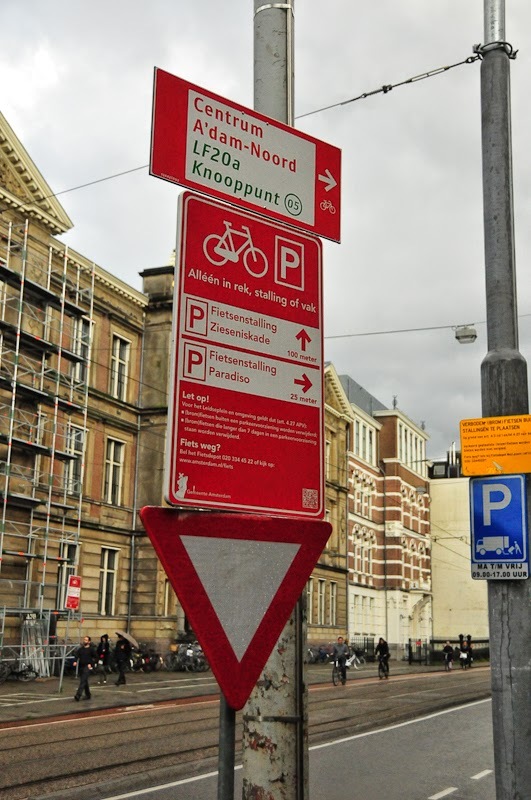 In the same time, dutch cities started to adapt traffic laws to cyclists. Cycling infrastructures developed in the 80's and 90's in the whole country. 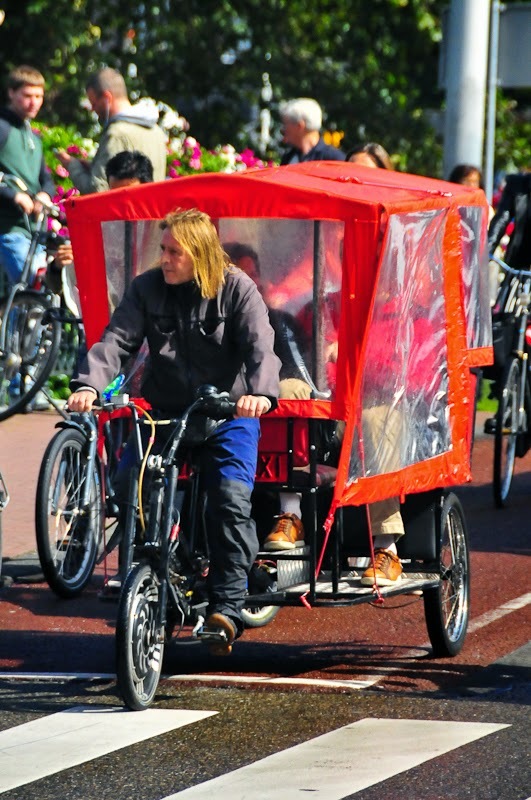 In this decade, bicycle became a priority of Dutch ministry of traffic and infrastructure. 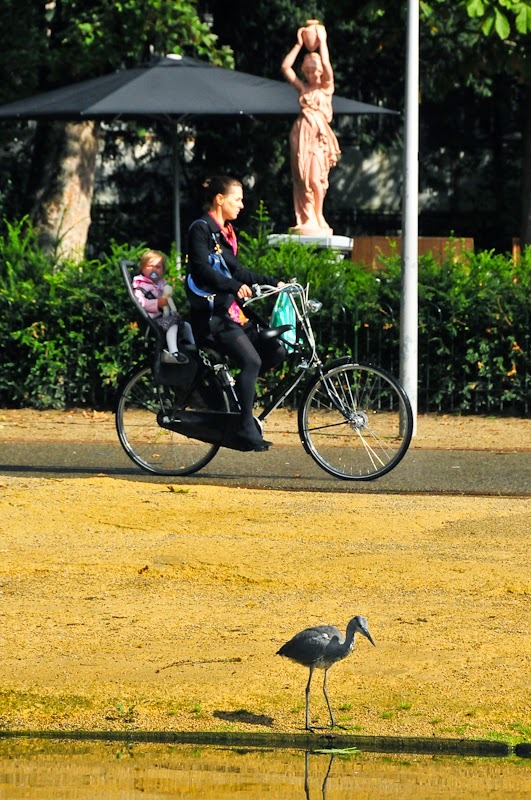 It's still the same today, giving a strong image of cycling in the Dutch society. 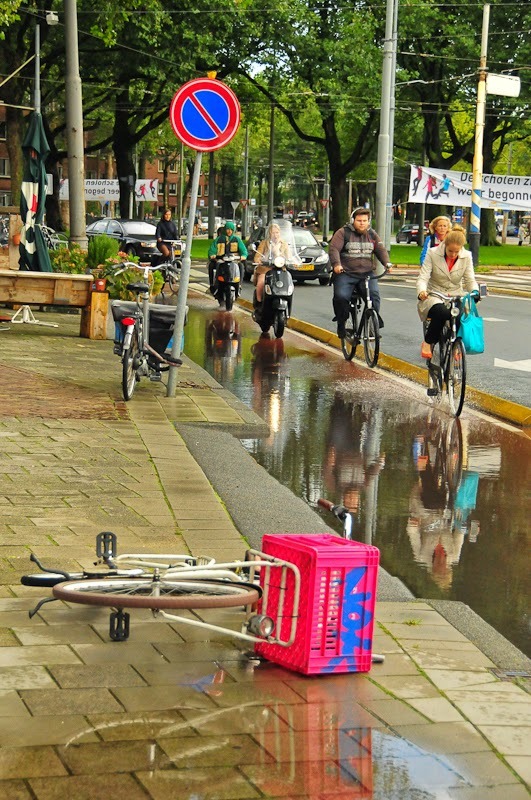 Today, the City of Amsterdam spent yearly 20 millions € to improve cycling infrastruture, and of all trips in the Netherlands capital, over 50 % are made by bike... 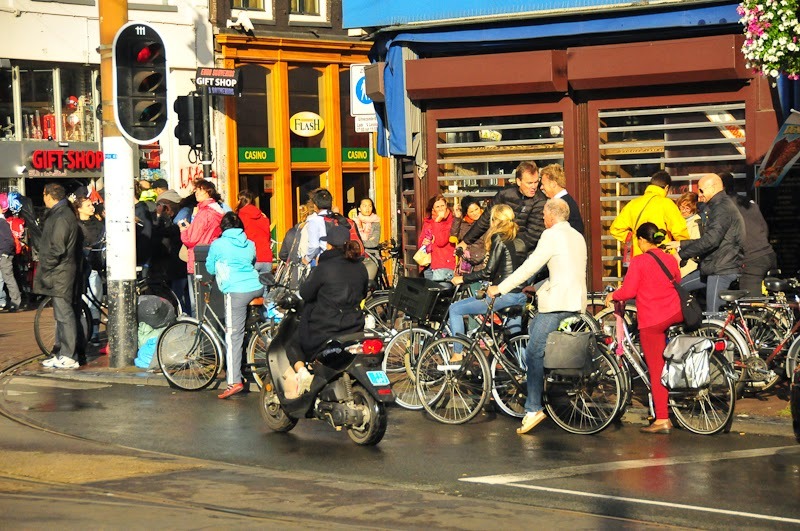 Here follows a sample of what the bicycle culture looks like in Amsterdam. 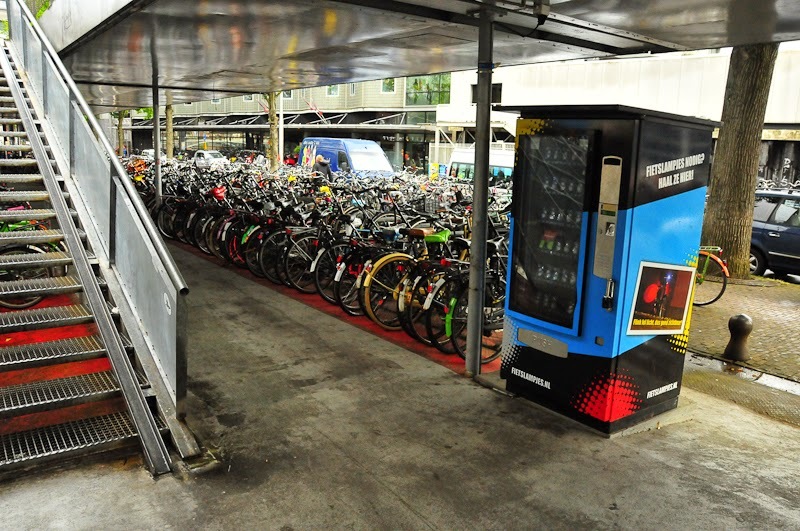 The “fietsflat”, the main bike parking lot of the railway station with 2500 places (7000 around the railway station). Dispenser of small lights and cycle maps in the entrance of the "Fiestflat"
Traffic signs for bicycles parking in the city center. 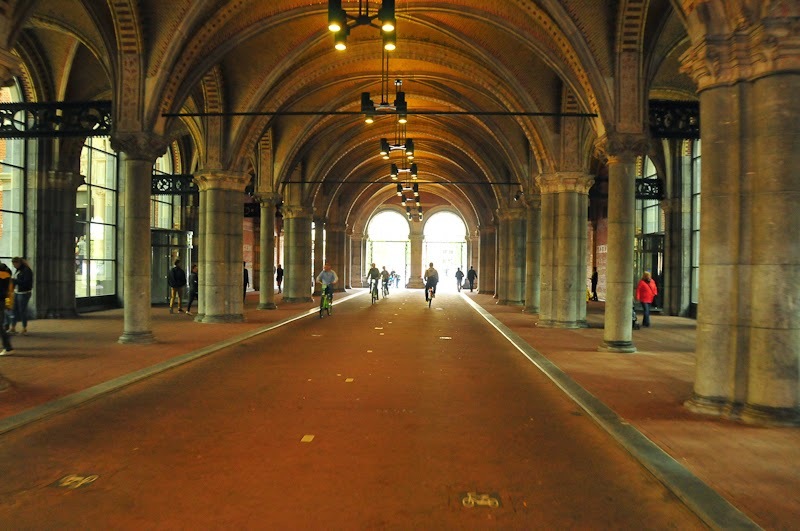 Rijksmuseum, the most beautiful cycle path I rode. 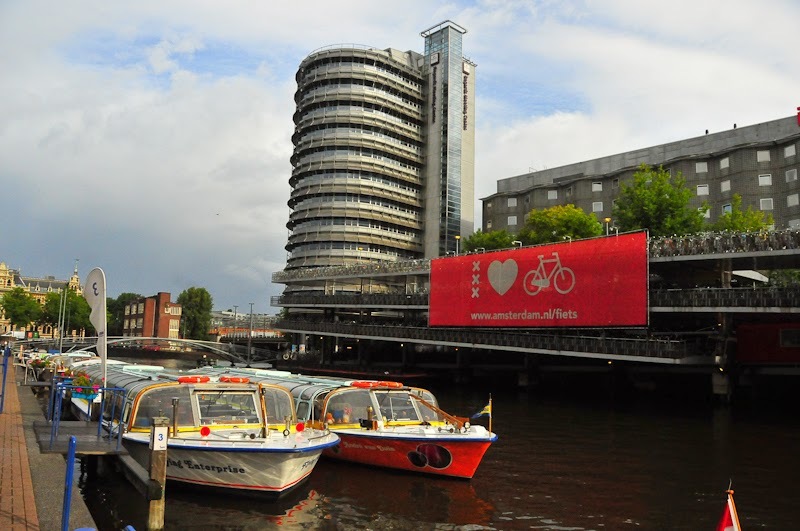 This week, we're going to discover Amsterdam together, with a special focus on bikes. 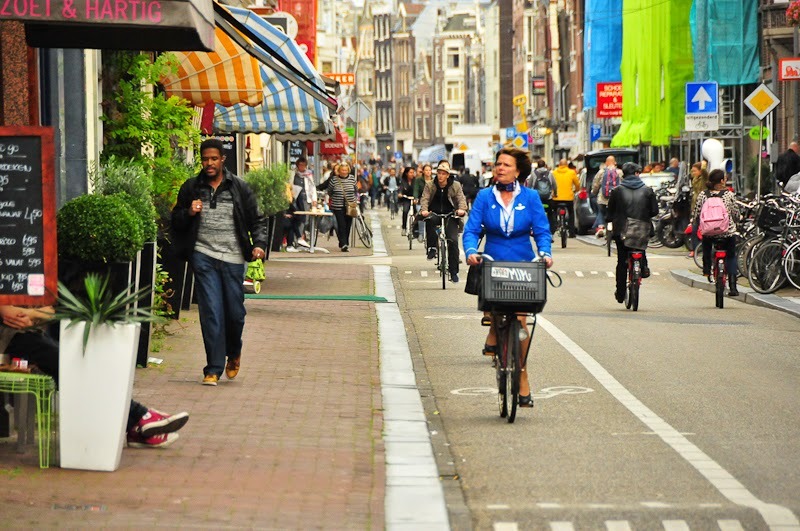 Each day I'll present you another theme of the bicycle culture in the dutch capital. Tomorrow, we'll be going to the market so prepare your shopping list !